The first novel in the Rizzoli and Isles series, one Boston detective and the chief medical examiner take on a serial killer in this fast-paced thriller. Before I start the review, there is a television series, named Rizzoli and Isles based on Gerritsen's novels (there's 7 of them I think) and they're really good! I've watched all of them up to date and would certainly recommend them. Anyway, onto the review. Firstly, the novel starts with an ominous narrator who we as an audience are completely unaware of. I was hooked entirely from the beginning and loved the insane plot line with it's many, many twists and turns. As the story continues we figure out who this speaker is and I really enjoyed it because you had to read on to discover it; it's wasn't something I predicted. The character was always on the sidelines until the ending when he surfaced and the voice became clear. It was fascinating to hear his point of view. Following the story line, it honestly was so intense. There wasn't a scene when I was bored and if I had had the time I'd have probably read this in one sitting. Everything was so well written and linked together and as soon as one problem was solved another one arose! The ending had to be the best part because it was action packed and had me on the edge of my seat in anticipation! Certainly one of the best plot lines I've read and one of the most exciting thrillers. Due to the genre of this novel, I wouldn't recommend it to younger readers, For starters, there's a lot technical language surrounding parts of the body and other biological factors since this is a crime fiction which may be difficult for some readers to understand (mainly since this is aimed at adults and there were even some terms I was unsure of!) and secondly there are some really gruesome scenes such as murder and dissection which may be unpleasant to some readers. I personally don't mind it. Overall this was a fantastic first novel to the Rizzoli and Isles series and I've jumped straight onto the second book, The Apprentice. 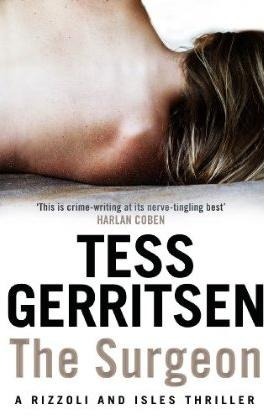 Gerritsen has written some stand along thrillers which I assume are just as insane as this one, so if you're looking for a fast paced mystery about crime, this is your author!